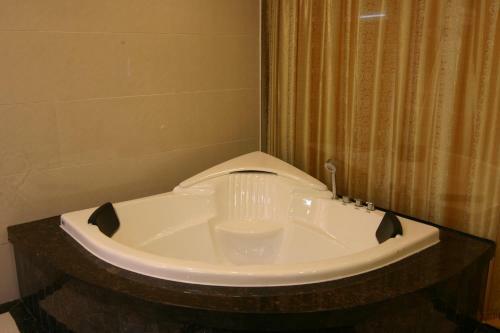 Offering spectacular views of Lijiang River, Yangshuo Morning Sun Hotel is a 1-minute walk the historic West Street. Guests can enjoy the stunning sunrise and sunset at the sun terrace, and use the free Wi-Fi in the entire property. Morning Sun Hotel is an 8-minute walk from Yangshuo Bus Station and a 5-minute stroll to Yangshuo Park. Lijiang River is a 6-minute walk away. 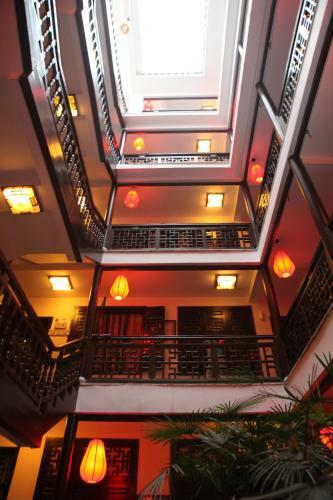 Swirling staircases, classic Chinese architecture and dark wood furnishings add to the charm of this hotel. It offers a chargeable airport shuttle service and a tour desk. The 24-hour front desk provides safety deposit box and luggage storage for guests’ convenience. There is also an on-site gallery displaying various Chinese paintings and calligraphies, some of them are for sale. All air-conditioned rooms come with an electric kettle, a dressing room and a flat-screen TV with cable channels. 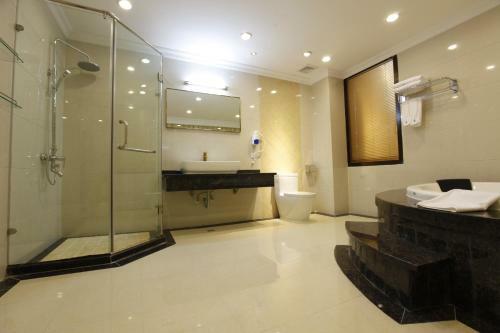 The spacious bathrooms include both a bathtub and shower facilities. Free toiletries and hairdryers are also included. Morning Sun Hotel offers simple breakfast. There are also many local restaurants located within a 5-minute walk of the hotel. 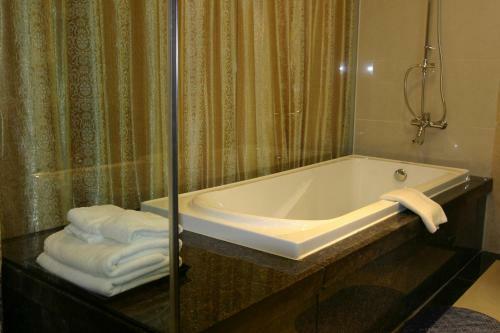 Room comes with a flat-screen TV, a bathtub and a dressing room. It features a balcony. Located on the ground floor, this room features a cable TV, an electric kettle and a window. Due to short distance between this property and opposite building, guests are kindly suggested to keep the window closed.